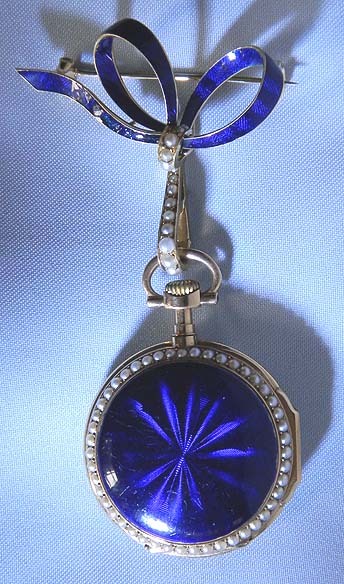 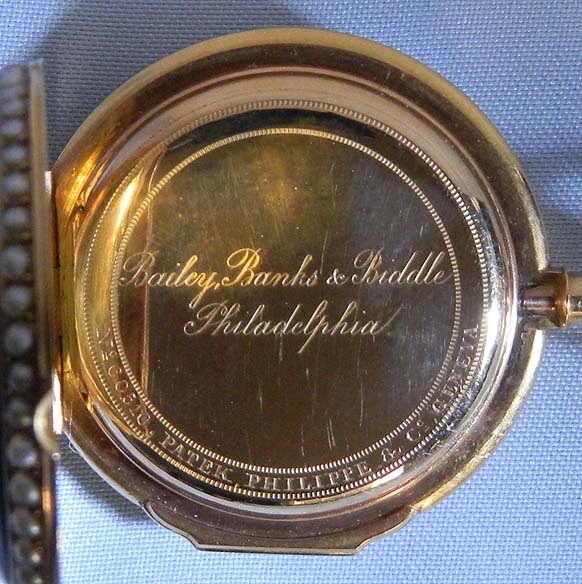 Fine and beautiful Patek Philippe 18K gold, pearl and enamel ladies antique pendant watch with matching pin circa 1882. 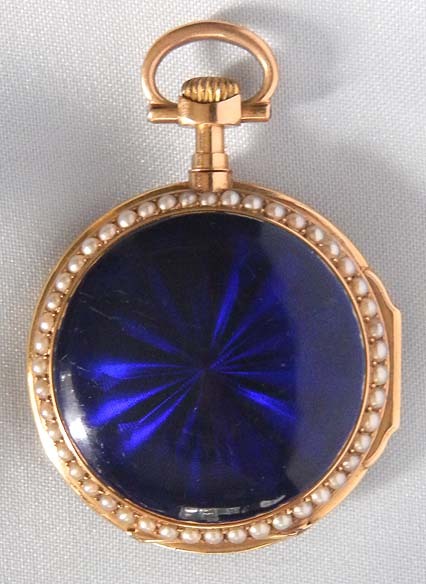 The case back in cobalt blue enamel over engine turned background within pearl set bezel. 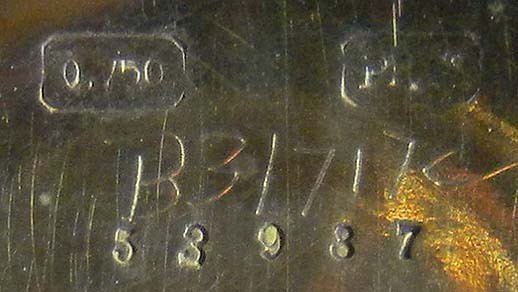 Usual small scratches. 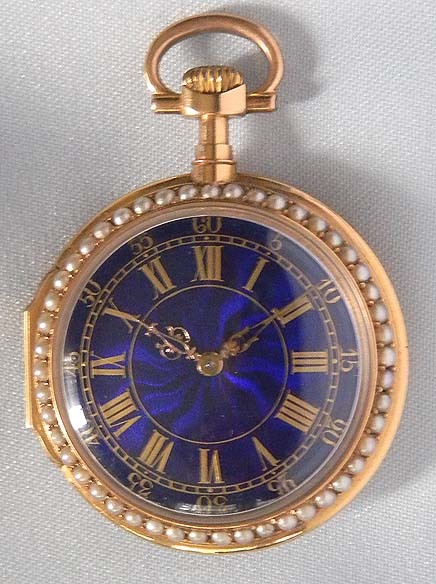 The dial also in cobalt blue enamel over engine turning with gold markings and fancy gold hands. 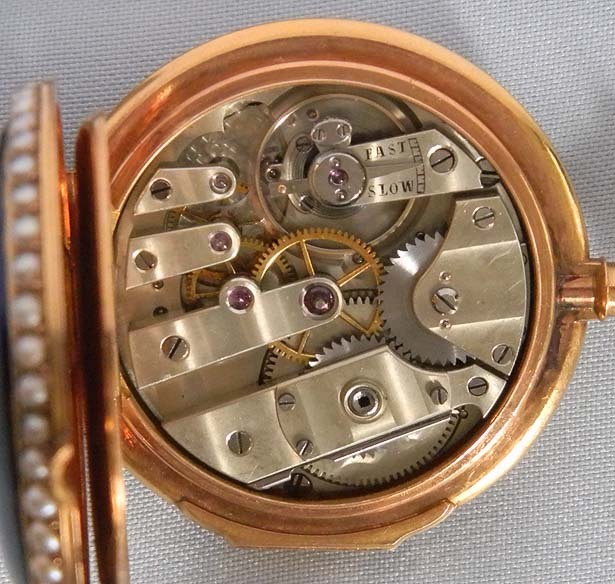 Fine nickel 18 jewel movement with wolf tooth winding. 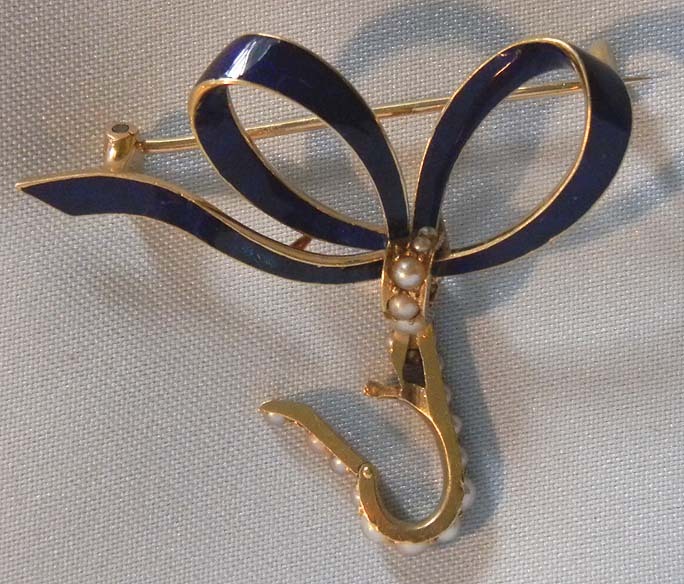 Slight restoration to the pin.